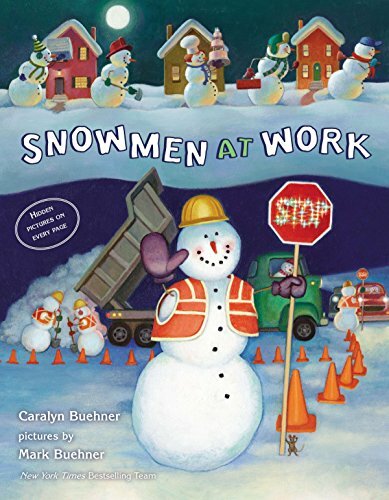 A fun book to read during the winter is Snowmen at Work by Caralyn Buehner. 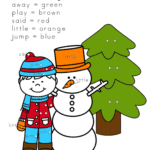 In the book, a boy creates a snowman and soon comes to wonder whether snowmen have jobs. Could they dentists or bakers, teachers and firefighters? 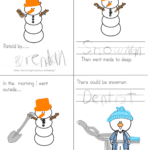 Snowmen are certainly extremely helpful! 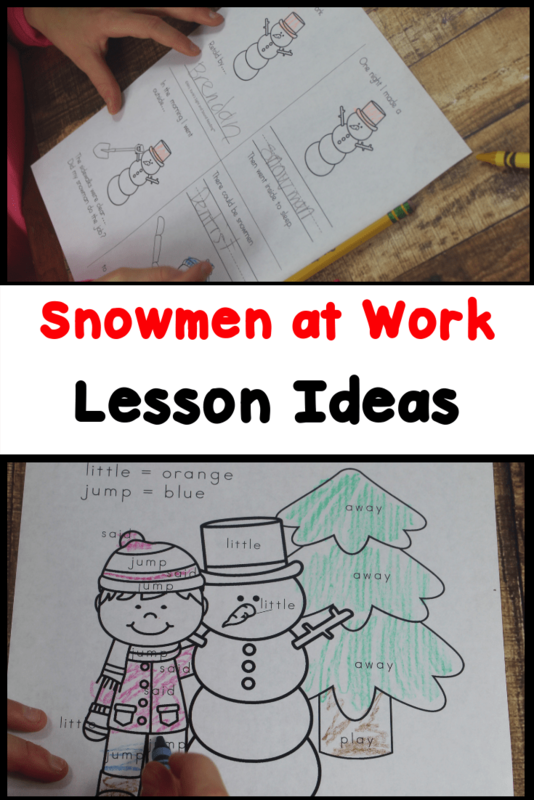 Snowmen at Work is a great companion when doing community helper lessons. 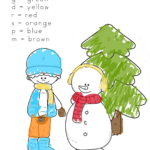 The children can learn about the different jobs that snowmen have. They learn the occupation vocabulary ....and, for added fun, they can act out and pretend play each job. 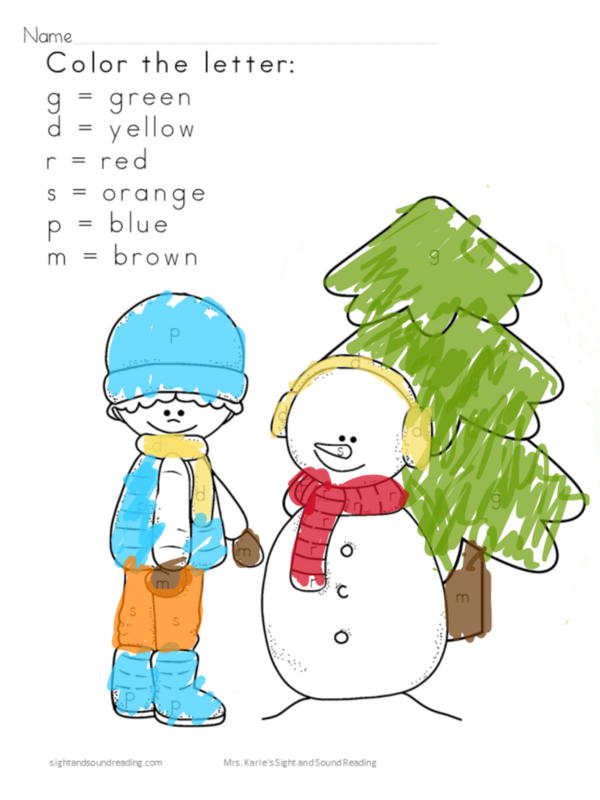 So, I did a little brainstorming to come up with a few ideas for you to help with your Snowmen at Work unit. It is great to help children learn what different community helpers do. It is great for them not only to see that there are so many people that help us each day, but also that some day they can become a community helper. Play dress-up! 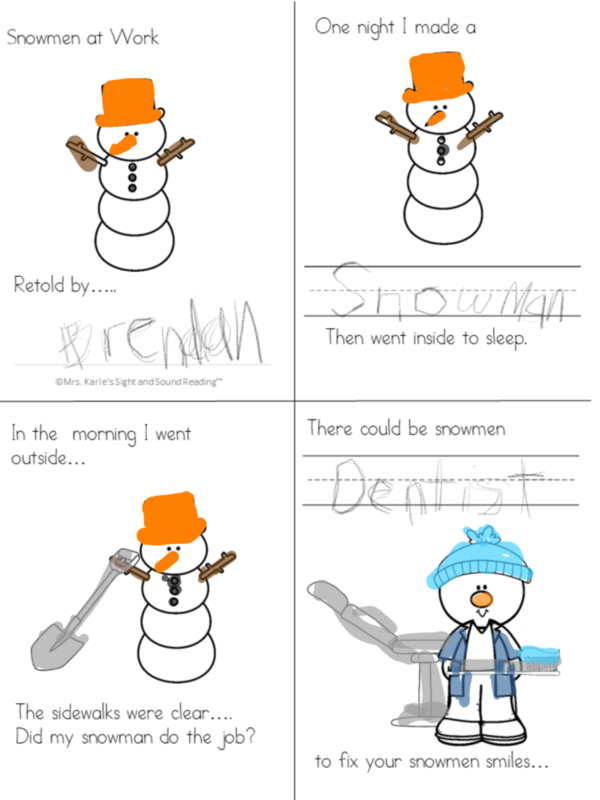 Kids love to dress up and do pretend play. . Download some free pretend play worksheets and have fun pretending to be a doctor, vet, police officer, teacher and more! Bring the Field trip to you! – Ask for parent volunteers or see if you can get a fire person, police officer, librarian, doctor, dentist, vet, repair person to visit you. Have the students ask questions. Write letters to community helpers – Write thank you notes to community helpers or write them letters to ask them questions. If they come visit your classroom (or if you visit them), this is also another great reason to write a follow-up note or thank you too! Pretend play a restaurant! – During snack time or lunch. Make menus and have students order their food, or have them play waiter/waitress. Do a fire safety unit in October for fire prevention month. Bring in a fire fighter or visit a fire house. Practice a fire drill, and practice stop/drop/roll. Make a class book… When I am big, I will be a …. You can take pictures with the kids in a hat or a badge. Play a dress-up relay race. Have children race to put on community helper costumes, run accross the room, tag their teammate, repeat. 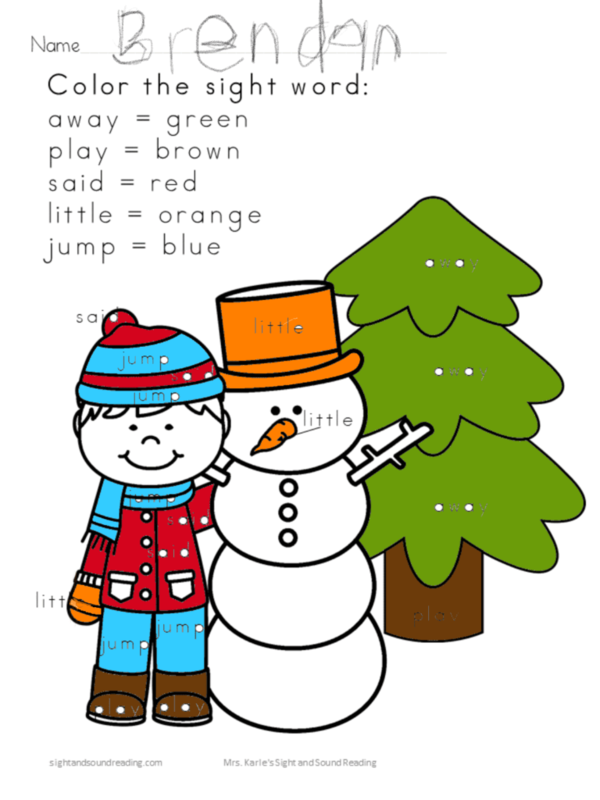 Have fun reading Snowman at Work with this EDITABLE no-prep print and go Snowmen at Work Activities fun pack. These activities are geared for kindergarten, although you can edit to modify many of the activities to fit the age you are teaching. 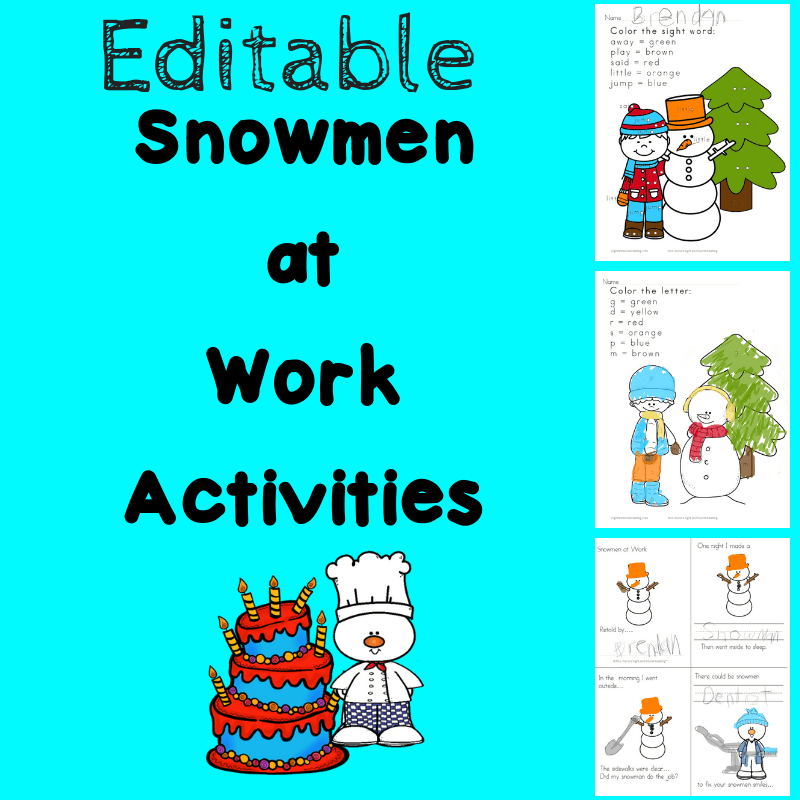 Students will love to create a mini Snowmen at Work mini-book to help them re-tell the story...OR, they can create their own Snowman at work! To get your free Snowmen at Work Activity, enter in your email into the form below and you will be added to our mailing list where you will find out about more fun things. You can remove yourself by following the directions with your freebie or unsubscribing to the first newsletter. If you have any trouble with your download, just email me at [email protected] . Subscribe to the Newsletter & Get the Freebie! When you become a member of Mrs. Karle’s Sight and Sound Reading, you’ll learn how to teach struggling readers and writers learn how to make learning to read and write fun.